First you’ll visit Interlaken down town: the famous „Bahnhofstreet“ with its incredible watch shops. 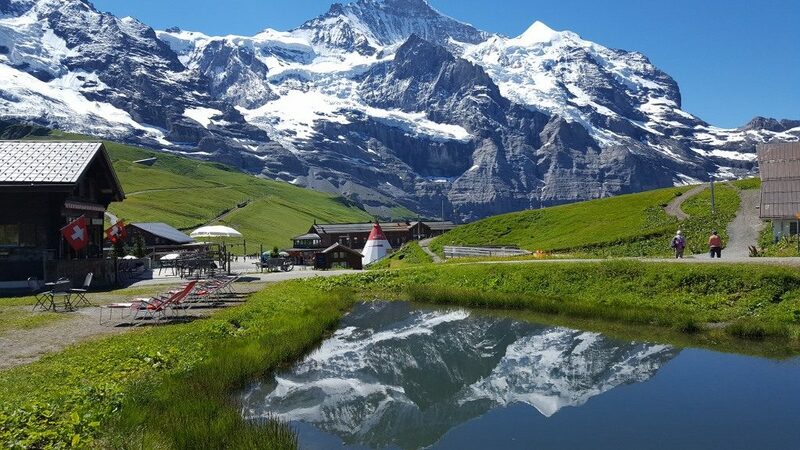 Take some pictures of the snow covered, most famous „Jungfrau“ mountain from the Höhematte. 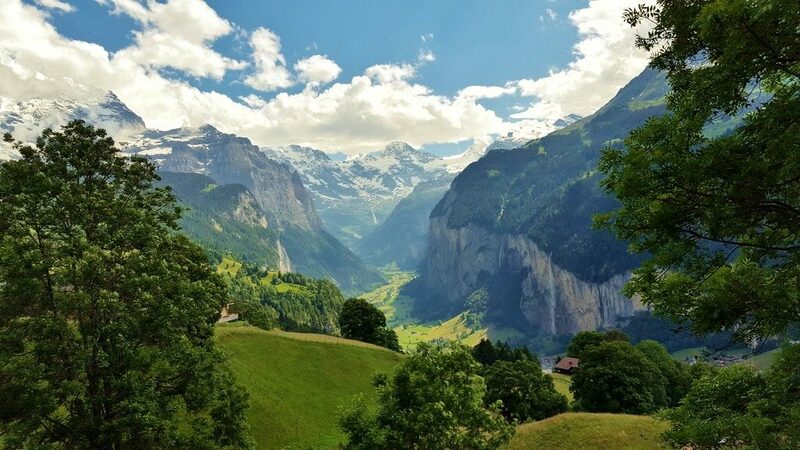 Listen to the legendary myth of the „Hardermannli“, a man in stone who is named after the house mountain of Interlaken. Get fascinated by the Casino Kursaal and it’s flower sun watch. Our second stop is the old charming town of Unterseen with its central place, little shops and restaurants. 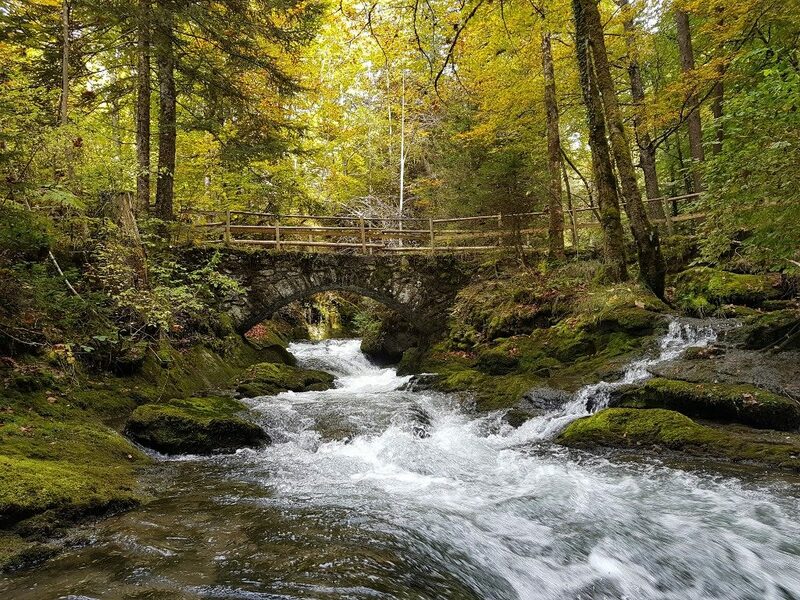 From there a short walk takes you over the oldest, and the first one to cross, wooden bridge of the town. After that we’ll leave the center of town and reach five minutes later the traditional town of Wilderswil. 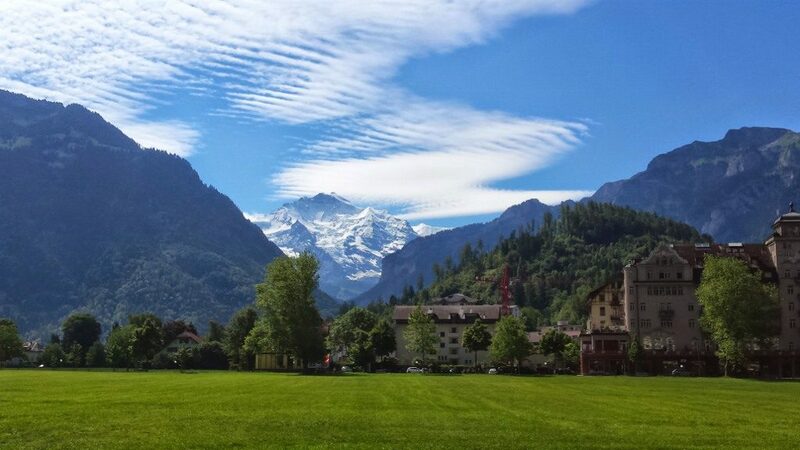 Get inspired by the houndred year old chalet houses with the traditional paintings and enjoy Interlaken, off the beaten track. Next we stop at a Swiss farm, where you’ll get in touch with our cows: a healthy cow gives good milk, good milk provides good cheese and chocolate. From the valley to the top. After a short drive you’ll reach Beatenberg, Europe’s longest village, high above the lake of Thoune. 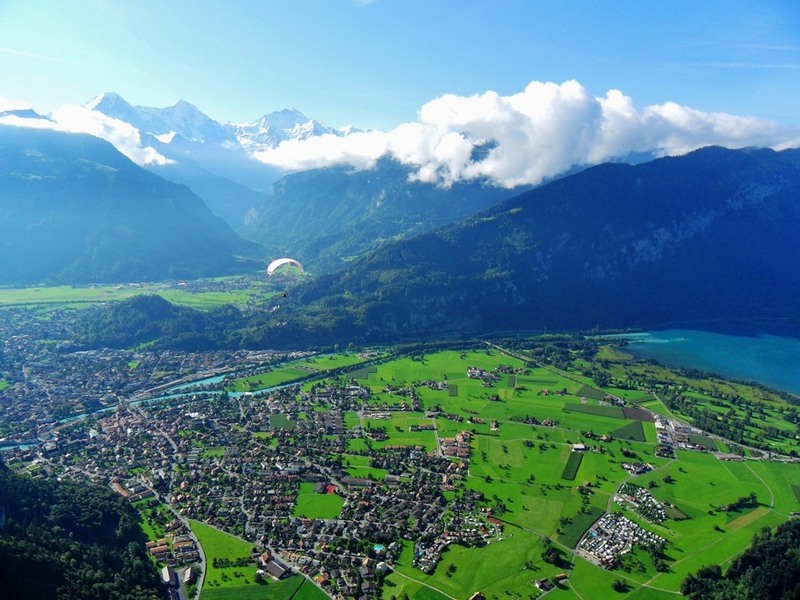 Relax at a coffee break and take some pictures of this spectacular view over Interlaken, the two lakes surrounded by mountains, with the world famous Eiger, Mönch and Jungfrau in the background. 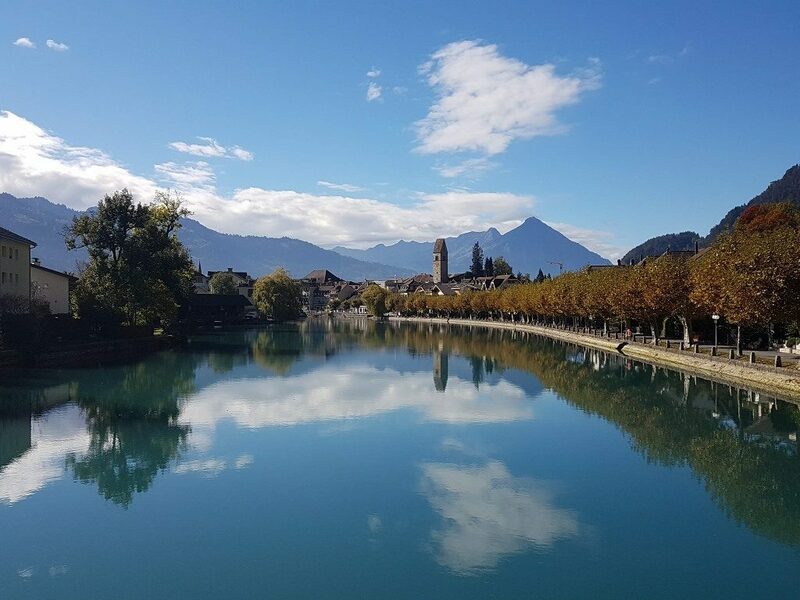 Our last stop on the half day tour is the charming harbour of Interlaken, where you can go for a walk through the natural reserve, enjoy a boat ride or lay back in the sunchairs. 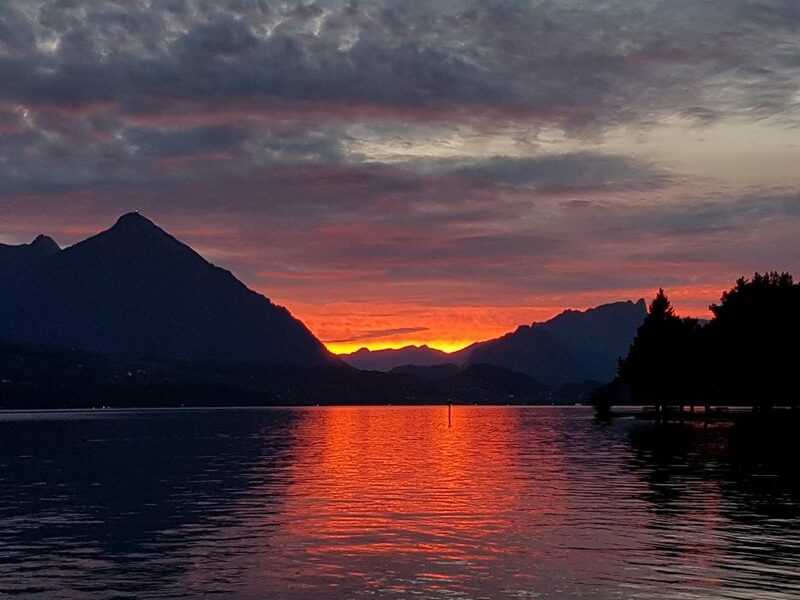 The „Neuhaus is the best sunset spot in Interlaken and a perfect place to finish our tour before heading back to town. On the full day tour we create together a customised afternoon according to your personal desires. We are locals, know the must sees and hidden treasures and are pleased to show you the best of the region.